In any given robust toyline, repaints are pretty much a given. To save on production and/or animation costs, single molds and designs are often repainted or recolored and made into different characters. For many Transformer fans, repaints are pretty much the norm and are widely accepted. Even if they look exactly the same, there is no confusion between the seekers Starscream, Thundercracker and Skywarp…their colors (and well defined personalities) pretty much tell us who is who. 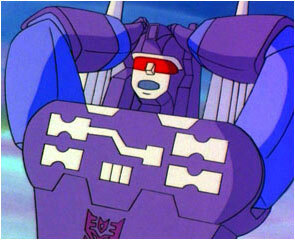 Then there’s the case of Decepticons Rumble and Frenzy, where things get a little…messy.